Hi there, Renee here from Fantastic First Grade Froggies. Here in California we are on summer vacation and I am loving it. I love spending time with my little man. He is six and loves to discover things. There other day we were outside playing and we found a praying mantis. He was very excited to catch and observe it. We let it go onto a bush that had some aphids on it. It was fun to watch the praying mantis feast on them. I wish I would have taken some pictures, but I was in the moment and I had no phone or camera nearby. 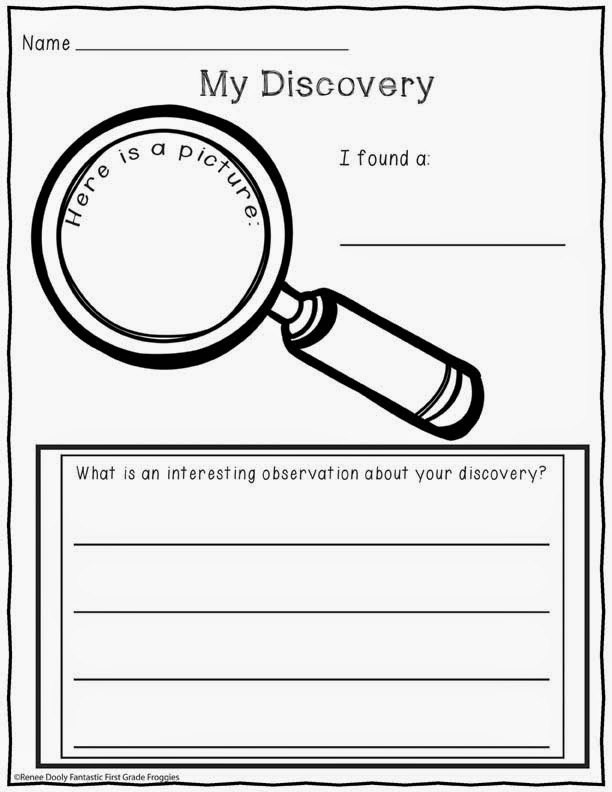 I purposely made it generic so it could be used for various "discoveries." I thought at the end of the summer, I could staple them into a book for him to refer back to.